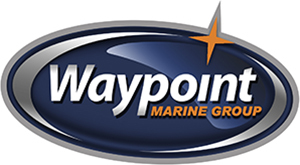 Waypoint Marine Group has a wide selection of ZAR FORMENTI Boats and We also provide the best Repair services in Seattle. ZAR ZF-2 Tender Boat comes with great design. Built in Italy. Designed with passion. The new tender line by ZAR, represents a great leap forward in terms of design, function, performance and reliability. ZAR’s recognized lead and expertise in the top class of the RIB industry converges in this demanding product. All of the iconic elements such as the deep ‘V’ hull for great performance and comfort, the rigid bow for a more spacious interior, the enormous storage space, the quality materials selection and the innovative design have been uncompromised. A key aspect of our design philosophy demands that these RIBS must be instantly recognizable as a ZAR. The core values of our brand remain not only untouched, but enforced: Style, function, uncompromised, Italian.